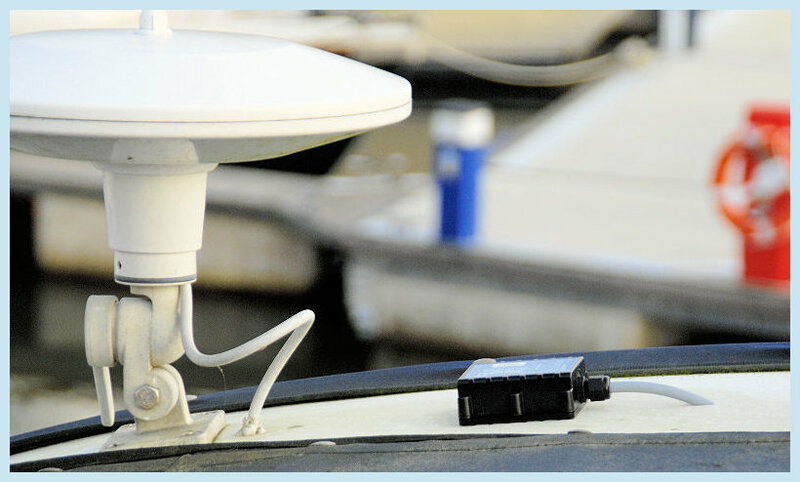 Installation of a quality tracking device is extremely straightforward and nowhere is that more true than with most vessels. The simplest form of installation is to use one of our units with 'built in aerials', then gain access to the battery compartment and connect the ‘Live Wire’ to the Positive side of the battery(s) and the ‘Neutral Wire’ to the Negative (or Earth). Now 'Cable Tie' or 'Velcro' the device down with the label side up and in 99% of cases that is it - 5 minutes and the job is done. As long as the battery is between 9 volts and 30 volts and the compartment is not screened with metal all round, this will work. So why write a page on installing tracking devices? It is simply because for a few moments extra effort you can do even better. First thing to consider - Is the point we connected to fused? If it is straight on to the battery terminal, the answer is going to be no! So for a fiver at the Mariner shop why not put an in-line fuse (3-5 amps) between the device and the battery. Better still, almost for sure there will be a distribution board nearby with a spare fused terminal you can connect to (but make sure the fuse is 3-5 amps not much bigger). 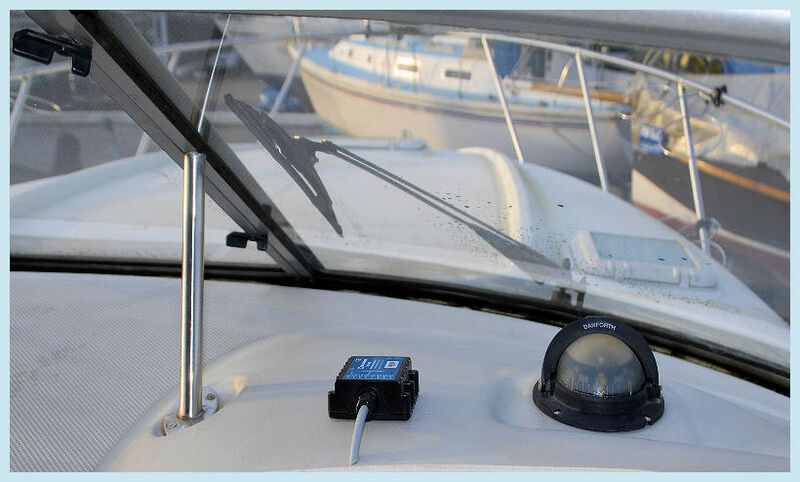 The tracker only needs to be fused on the live side, but a fuse will protect you in the event that one day the wire's installation gets damaged, a blown fuse is better than a burnt boat. So now you are thinking OK I will use that distribution board, but before you do just check that the point you selected stays live when you turn the master switch off. If it goes off with the power I am afraid you are back to running it from the live side of the battery WITH A FUSE. Is mounting height important? Well yes and no, as far as receiving a signal from the satellites is concerned as long as the device is not half a meter below the water line it will be accurate enough for most people. The transmitter aerial is a little less simple. For most plastic, or wooden vessels with it mounted above the waterline, up to a few miles offshore contact will be continuous and with our units even if it loses contact for a moment it will hang onto the location fix and send it when it is back in touch. If however you do want to get better and more accurate coverage, read on . . . .
As you can see with the images above the easiest way to improve performance is to mount one of our weatherproof units on top of the ‘Fly-bridge’, or the‘Instrument Console’. If you don’t have a weatherproof one then mount it INSIDE the ‘Fly-bridge’, or ‘Instrument Console’ (assuming of course they are not metal ones). In most case there will be an inspection panel, loudspeaker enclosure, or light unit you can unscrew to get in there and then it is just a case of tying some cotton to a large nut and dropping it down to where you can collect it inside. Next tie some twin cable (3-5amps) where the nut was and pull it back up. Even if you have a weatherproof unit this is still worth doing if you want to hide the unit from sight. But of course before you finally fix it in place (label side up) power it up and confirm it is all working as it should be. What we have looked at so far here assumes you have purchased a unit with built in aerials and for most users this will be the best option, but what if you want live coverage a long way offshore, or operate an all metal work boat? In both cases one of our units with external aerials is the simple answer. Mounting is just the same as above, but you will also need to mount an outside aerial. We have everything from self-adhesive outside aerials, through mushroom dome hole mount ones, right up to top of the mast combined whip ones, just email us and we will explain your options.